There was no episode of Marvel’s Agents of S.H.I.E.L.D. last night as the Tuesday Night Superhero Ratings War took a back seat to Actual World War 3: The Prelude, but the show’s slow burn slide into dismal ratings has been documented on Bleeding Cool before, and with a new normal of less than 1 in the 18-49 demographic, we may finally be seeing the finale of S.H.I.E.L.D.’s long game of ratings limbo. But before that ship sinks, Marvel may want to get its most valuable passengers onto a lifeboat, by getting them into spinoff series on Netflix or even into the Marvel Movieverse. 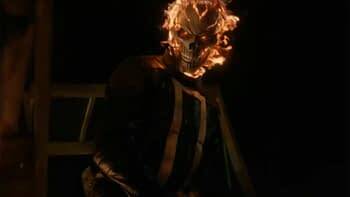 According to Ghost Rider actor Gabriel Luna, there are “deals in place” for exactly that. Agents of S.H.I.E.L.D. is set to return to ABC, possibly for the final time, later this month.